To that end I stand in rapt admiration of Craig Bergh, the nurse-anesthesiologist/gonzo windsurfer from Worthington, Minnesota who continues to make something happen year after year in the form of the Midwest Speed Quest. It’s his baby, lock, stock and barrel. 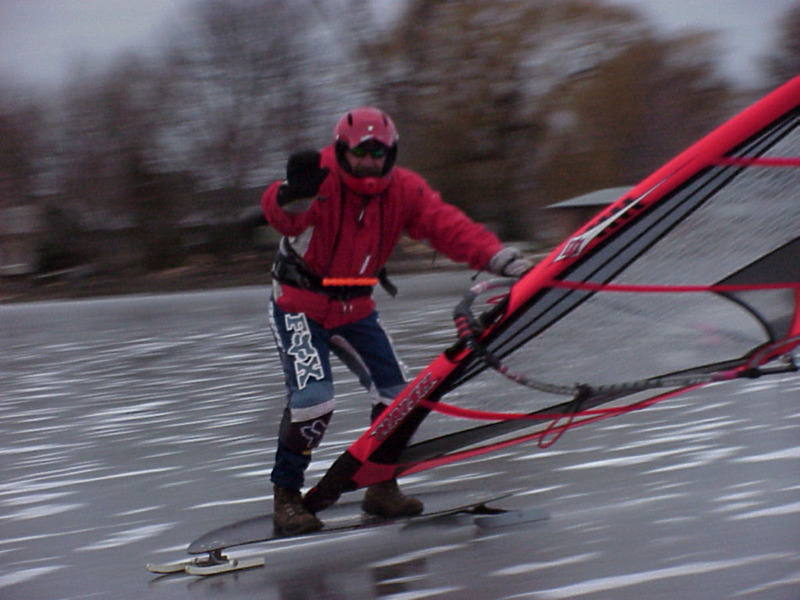 Six years ago, Bergh strapped a GPS to his wrist, went windsurfing on his home lake, and was fascinated with the speed readouts. He says, “I realized that other people would want to do this.” It helped that he lived on the shores of Minnesota’s Lake Okabena, which Bergh advertises as “the fastest lake in the nation,” for cause. Being located on Buffalo Ridge, a high point separating the Missouri and Mississippi Basins, Worthington and Lake Okabena are, shall we say, exposed. And the town is embracing . 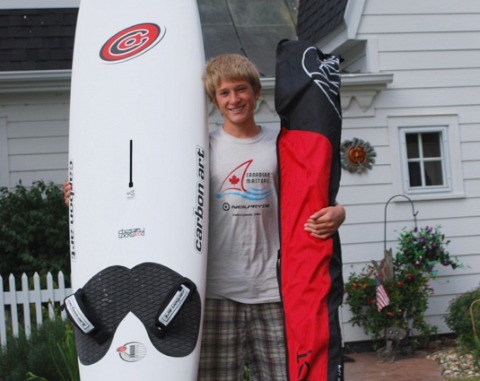 . .
Midwest Speed Quest 2010 has just wrapped up, with Andrew Anderson of Oakland, California posting the top run of 35.4 knots . . .
And no, it’s nothing to compare with the international scene at the Luderitz Speed Challenge in Namibia, where a new world speedsailing record was recently set—54.01 knots by Alex Caizergues—and Rob Douglas set a new American record of 52.58 knots, both pending official ratification. 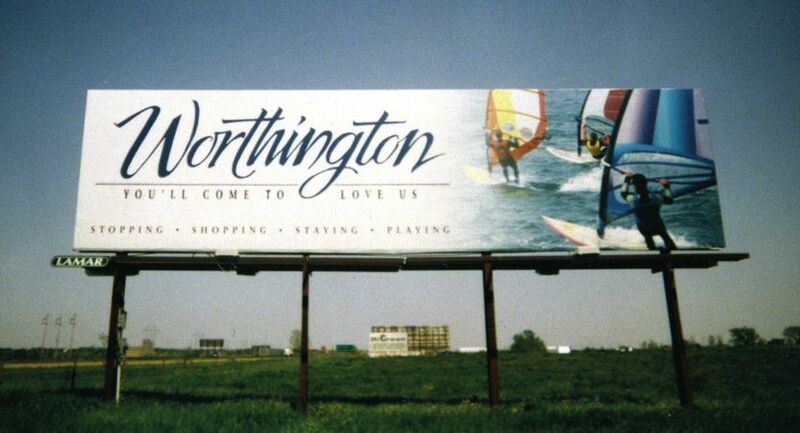 The Worthington deal is a lot more down-home than that. Over a six-month season, people come to Lake Okabena, Minnesota whenever they want, and Bergh takes care of them—or someone else in the family does—providing meals and hydration and sometimes a bed in his lakeside home. “One of us will meet them with a GPS,” he says. 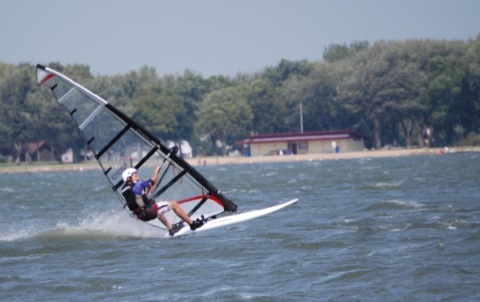 “The GPS has a memory card that allows my computer to look at their entire day — or year — on the water, second by second, to 1/100th of a knot.” October tends to be the windiest month, and come mid-October, the Midwest Speed Quest has its winners for the year. Unlike the international 500-meter course records ratified by the World Speed Sailing Record Council, Bergh looks for the fastest 10-second intervals. Why do it at all? He just thinks this is all so cool. What does he get out of it? If you have to ask, you just don’t understand how cool. 1) This is a friendly competition designed for sailors of all skill levels. We will be there to answer questions and get you started right! 2) This Event is FREE! We even provide you with a GPS ready to go! 3) The event runs from April 15 to October 15, 2010. YOU decide when you want to race. Free refreshments and hot meals served on the Beach. 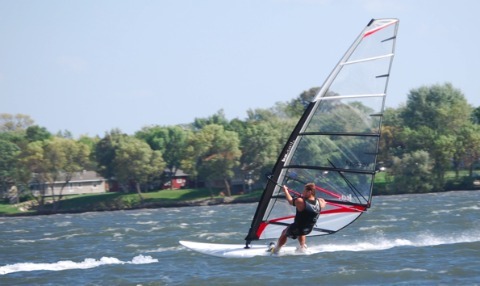 Hot Showers, Pet Care, Child Care, Spousal Care (care of the Windsurfing Widow), all provided on-site! 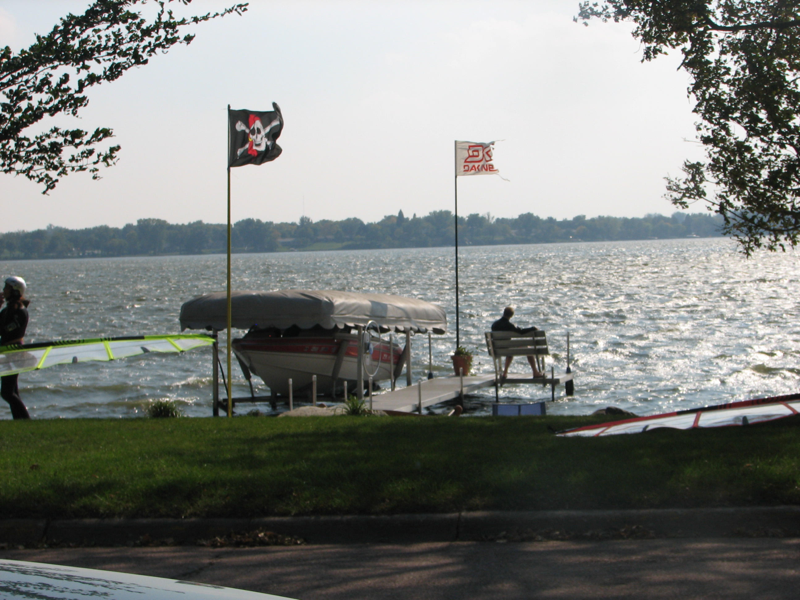 Sailors come to Lake Okabena from all over— but so far, not so many as to wreck a good thing. MARCHING TO ITS OWN DRUMMER is not exactly new in Worthington, Minnesota. 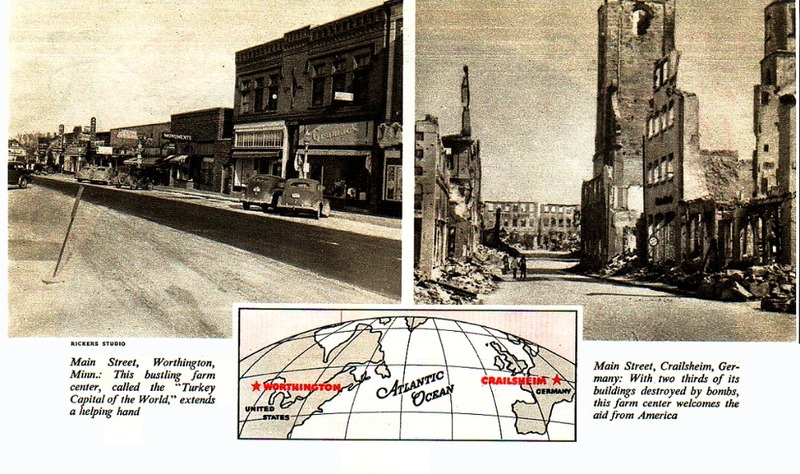 In 1947, the town’s citizens became the first in the USA to reach out to a devastated Germany by adopting the comparably small, comparably agricultural town of Crailsheim as a Sister City. Crailsheim had been also a last outpost of the Nazi defense, bitterly defended by the SS and two-thirds destroyed in three exchanges of control. Reading between the lines, I think he also has a soft spot for sixth place Magnus Zaunmueller, a 15-year-old from Beaver Dam, Wisconsin, who made 27.12 knots to top the youth category . . .
Congrats to all, but my story here is not the winners, the lake, or even the popularity of speed sailing. It’s this guy, Craig Bergh, who decided to make something happen. So the season turns. The summer of 2010 has come and gone, and as Craig Bergh will tell you, only one thing can happen next . . .